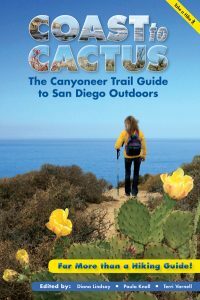 Meet Diana Lindsay, one of the editors of Coast to Cactus: The Canyoneer Trail Guide to San Diego Outdoors, a book that guides you to the county’s special places and teaches appreciation and understanding of the area’s unique wonders! 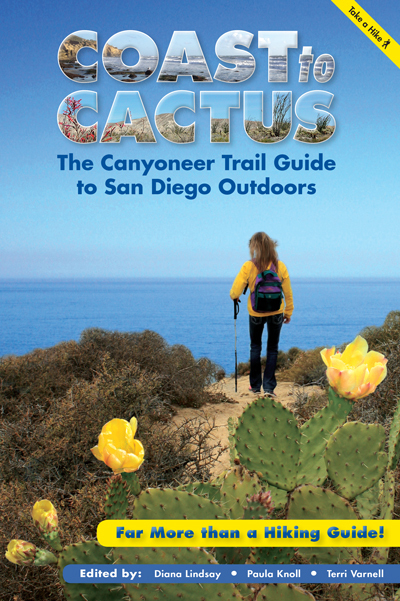 “Coast to Cactus: The Canyoneer Trail Guide to San Diego Outdoors, released in September, 2016, is almost 600 pages long and weighs more than two and a half pounds. 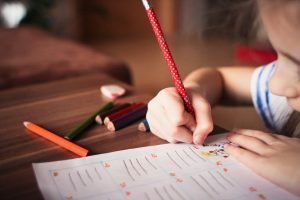 It contains descriptions of 245 outings (and 73 optional extension hikes) prepared by one of the best-respected hiking organizations in the county.